As if they were making rules about things necessary for salvation. Of course reading this list our mind runs straight to Roman Catholicism or perhaps mega church pastors who twist the Word for financial gain. But I want to apply to the reformed world. There has been a liturgical renewal among reformed folks over the last couple of decades. This has led to a closer examination of liturgical traditions, including the church year, robes, kneeling for communion, processionals, recessionals, etc. Many of these traditions have been implemented to various degrees in reformed churches. Those of us who have adopted or are moving toward a more liturgical worship style would be wise to keep Calvin’s list in mind. The goal of any man made tradition is to make the gospel clear, to increase piety/holiness, to be functional, to avoid all manner of superstition, and to not line the pockets of the shepherds. Too many ministers do not consider things like this carefully enough. There are other ways we can encourage superstition with our baptismal or communion practices or simply have traditions that are of little value for holiness. I am grateful for the liturgical renewal of the last few years, but that renewal is not problem free. Without restraint, caution, and wisdom some might find themselves closer to 1450 than 1550 in their approach to tradition and worship. I love our liturgy and worship service. We sing the Psalms. We kneel to confess our sins. We read several portions of Scripture. We eat at the Lord’s table every week. We bring our tithes and offerings to the front while we sing. We sit under God’s Word. Perhaps nothing has changed more in the last ten years of my life than my approach to worship. The word that came to Jeremiah from the LORD: “Stand in the gate of the LORD’s house, and proclaim there this word, and say, Hear the word of the LORD, all you men of Judah who enter these gates to worship the LORD. Thus says the LORD of hosts, the God of Israel: Amend your ways and your deeds, and I will let you dwell in this place. Do not trust in these deceptive words: ‘This is the temple of the LORD, the temple of the LORD, the temple of the LORD.’ “For if you truly amend your ways and your deeds, if you truly execute justice one with another, if you do not oppress the sojourner, the fatherless, or the widow, or shed innocent blood in this place, and if you do not go after other gods to your own harm, then I will let you dwell in this place, in the land that I gave of old to your fathers forever. “Behold, you trust in deceptive words to no avail. Will you steal, murder, commit adultery, swear falsely, make offerings to Baal, and go after other gods that you have not known, and then come and stand before me in this house, which is called by my name, and say, ‘We are delivered!’—only to go on doing all these abominations? Has this house, which is called by my name, become a den of robbers in your eyes? Behold, I myself have seen it, declares the LORD. In a previous blog post I listed Dr. T. David Gordon’s musical preferences for worship. He listed these in an article title “Coral Ridge Reply.” Below I have quoted the final paragraph in that article. Dr. Gordon lists three harmful effects that come from the assertion that worship music preferences are trivial. Bold is mine. I am very disappointed, however, to hear that Coral Ridge regards music, and the various preferences associated with it, as “trivial.” To regard it as such will inevitably have three effects, each harmful: First, it will continue to marginalize those of us who regard music (and the sociology of music) as an extremely significant humane consideration. We have apparently wasted our time attempting to develop informed preferences, since all such preferences are, apparently, “trivial.” Second, this will continue to embolden those who have not studied music, music history, aesthetic theory, theology, etc., because their uninformed preference is, apparently, to be regarded as neither more nor less “trivial” than the preference of those of us who are informed. Third, this determination will continue to foster some degree of division because Pastor Tchividjian assumes, as a given, one answer to the very question that needs to be resolved, to wit: Is the matter of how we sing praise to God in corporate worship a serious matter, worthy of the attention of our best theologians (Luther and Calvin wrote about the matter, and Luther and Charles Wesley wrote about hymnody and hymns themselves), or is it merely a “trivial” matter, about which we should not really have any firm opinions? Pastor Tchividjian’s post begs the very question that needs an answer. I want to make one point about Dr. Gordon’s list. The church needs men, pastors and teachers, who are trained in theology, Bible, pastoral care, church history, and music. Too much of modern church music is rooted in the romantic and sentimental idea that love for God, the ability to play an instrument and/0r sing make one fit to produce church music. Like most evangelicals, church musicians are weak on theology, church history, and Bible. Thus much modern church music is empty. It is telling that the best worship music today is either putting the Psalms to new tunes or taking old hymns and putting them to new tunes. The original stuff is not that great. The worship of God demands our best theologians, professors, and pastors to carefully think through worship music and build on our fathers in the faith so that moving forward we can have music that ministers to God’s people, present and future, resists the current cultural trends, and is pleasing to the Lord. Without this our generation will contribute very little to the church’s musical heritage. Dr. Gordon is best known for writing two books: Why Johnny Can’t Preach and Why Johnny Can’t Sing Hymns. Apparently he has written some other stuff too, which can be found at this rather archaic website. While the website is not very modern, the articles have been helpful as I continue to look at worship music. In an article titled “Coral Ridge Reply” Dr. Gordon explains why musical preferences in worship are not trivial. He is responding to the ex-pastor of Coral Ridge Tullian Tchividjian when he said it was wrong “when we separate people according to something as trivial as musical preferences…” In this article Dr. Gordon lists his musical preferences, which I found rather interesting. I prefer theologically orthodox lyrics to those that are heterodox. I prefer theologically significant lyrics to those that are theologically insignificant, even if true (e.g. hymns that touch upon the significant moments in the humiliation or exaltation of Christ are preferred to hymns that ambiguously refer to God’s “salvation” or “grace,” amazing or otherwise). I prefer in corporate worship lyrics that celebrate the objective work of redemption to those that recount our/my subjective experience of redemption (e.g. I prefer “an hour is coming when all who are in the tombs will hear his voice and come out” to “the hour I first believed” or even a “sweet hour of prayer”). I prefer literarily apt and thoughtful lyrics to those that are not (the language should correspond more to the imaginative language of poetry than to the clinical language of a textbook; “Crown him with many crowns” is preferable to “I affirm his sovereignty”). I prefer lyrics and music appropriate to a meeting between God and His visible people to lyrics and music that are common to run-of-the-mill meetings with other humans that we experience every day. I prefer music that makes it easier for the congregation to participate (e.g. 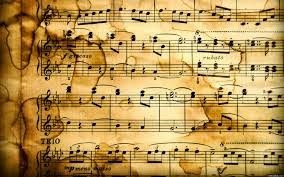 the key signature should keep everything at an e-flat or lower) to music that makes it more difficult for the congregation to participate (such as printing lyrics but not the musical score). I prefer well-written music with regard to melody, harmony, rhythm, and form to music that is less well-written with regard to the same considerations (e.g., formally, music should resolve; we shouldn’t repeat the last stanza several times simply because it doesn’t resolve and we don’t know what to do with it, as with Sandra McCracken’s musical setting to “O Love That Wilt Not Let Me Go”). I prefer that the musical setting be appropriate to the lyrical content (e.g. that celebratory lyrics be accompanied by celebratory musical settings; that contrite or pensive lyrics be accompanied by pensive musical settings). He is closing paragraph of this section of the article. Each of these preferences is debatable; each could be challenged, and I am perfectly willing to entertain a discussion of why each or all is wrong-headed or mistaken. But not one of these preferences is a consumerist preference, and not one of them is a merely personal preference. 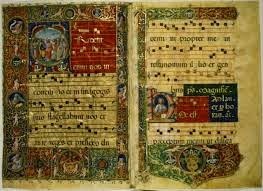 I do not own any CDs with traditional hymns on them; and I do not listen to traditional hymns in my leisure time, so I am not saying that I “prefer” the church’s liturgical choices to be dictated by (or even informed by) my consumerist choices. Dr. Gordon does not agree. His preferences do not arise from what music he likes or doesn’t like. He is not for hymns because he likes to listen to hymns throughout the week and this his is preference as a consumer. He does not go to church to sing what he likes. He goes to church to sing church songs. And his study has led him to determine that there are certain songs and music fit for worship and certain ones that are not. He is willing to argue about what criteria should be used to judge whether a song is fit for worship or not. But such criteria must exist. He is unwilling to concede that worship music should be left up to the consumerist preferences of the pastor, congregation, or worship team.